Add ½ cup gnocchi in a bowl of cold water. Chop 1 banana shalotte, 1 clove of garlic and a handful arugula. Fry onion and garlic in 1 tbs butter in a small saucepan. Sprinkle 1 tablespoon of wheat flour over. 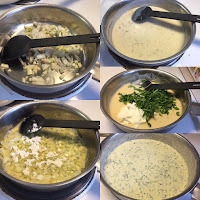 Whisk in 2 tsp white wine vinegar, 1dl water and ½ cube of chicken broth. Simmer 2-3 min. Add 1 dl milk and simmer another 2-3 minutes. 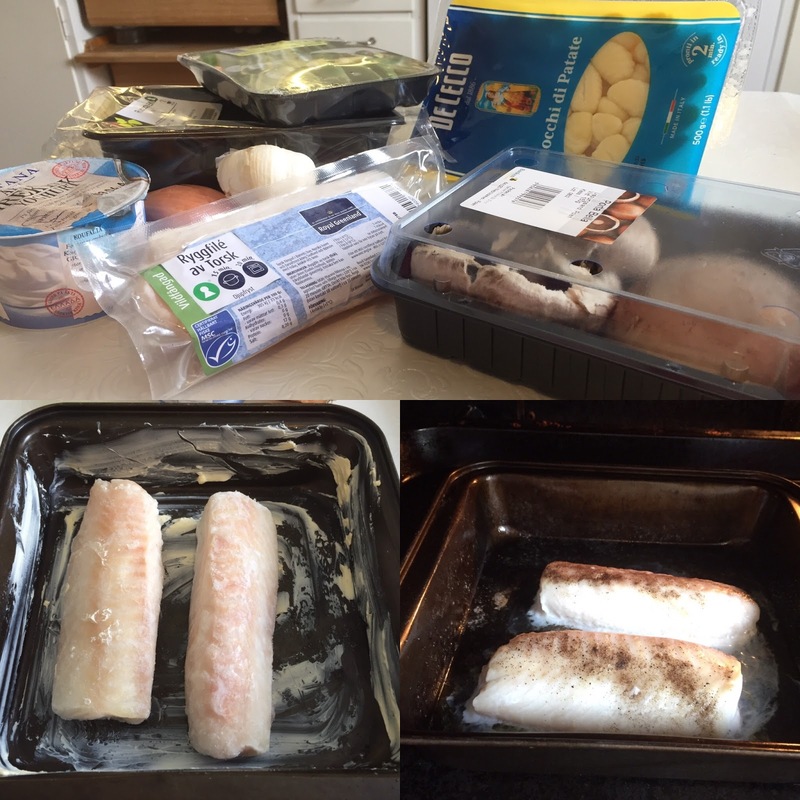 Place about 280 gr of cod in a lubricated oven form. Season with 2 tablespoons of salt and some freshly ground black pepper. 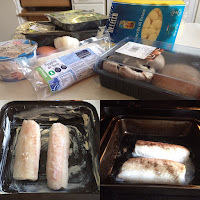 Prepare in the middle of the oven for 14-16 min. Cut 150 gr of portabello mushroom into smaller pieces and slice half 100 gr sugarsnaps. Pour out the water from the gnocchi. 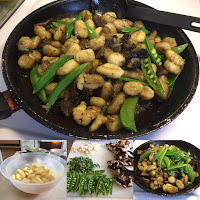 Fry the mushroom and gnocchi in a frying pan with 1 tbs butter 3-4 min. Add sugarsnaps and fry additional 1 min. Season with salt and black pepper. 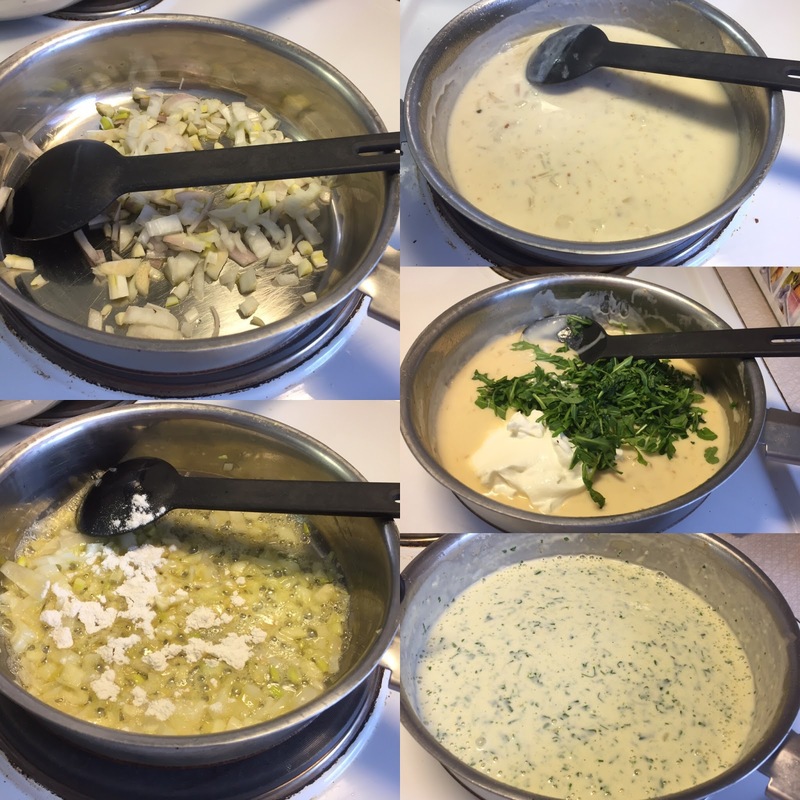 Mix ½ dl greek yogurt and chopped arugula in the saucepan. Mix smooth with mixer. Season with salt and black pepper. Serve baked cod with mushroomgnocchi and arugula sauce.